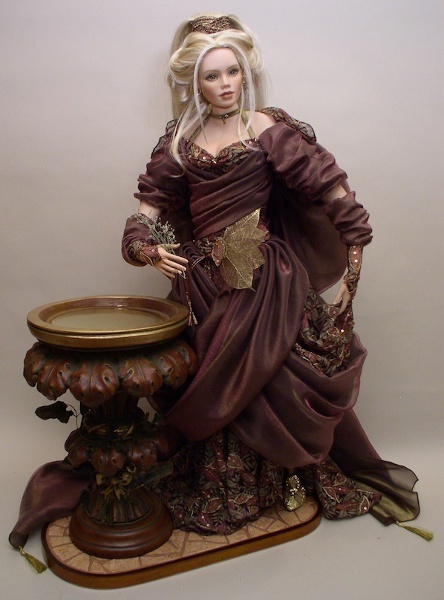 I don’t think I’m going too far out on a limb when I say doll collectors love it when an artist branches out into the fantasy realm. 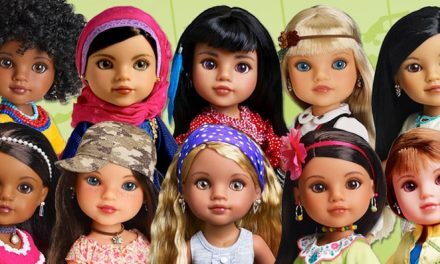 Heck, not just doll collectors—apparently, every female, ages 4 to 104, are hooked on the fantastic and the majestic. Check out the box-office receipts of this year’s live-action “Beauty and the Beast,” and you’ll correctly calculate that girls and women are still suckers for a good fairy tale (especially with a happy, uplifting ending). 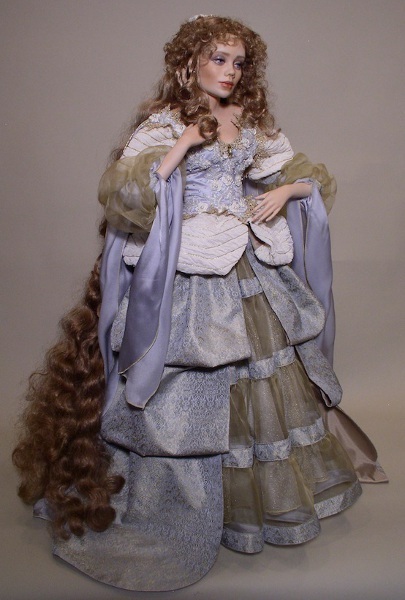 Monica Reo, the artist behind Creations in Porcelain, is just like the rest of us; she adores a joyful, soulful story, especially when it involves an opportunity to dress up a heroine in scads of luxurious, resplendent fabric. 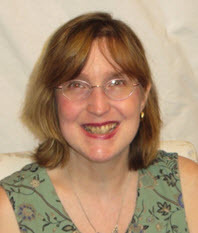 I recently heard from Monica, who had been out of commission for a while due to a stint in the hospital. Now, she’s feeling much better and has found brand-new focus with her Fairy Tales and Fantasies line. Accurately named, and painstakingly coaxed to life, Monica’s newest debuts are elegant revelations. 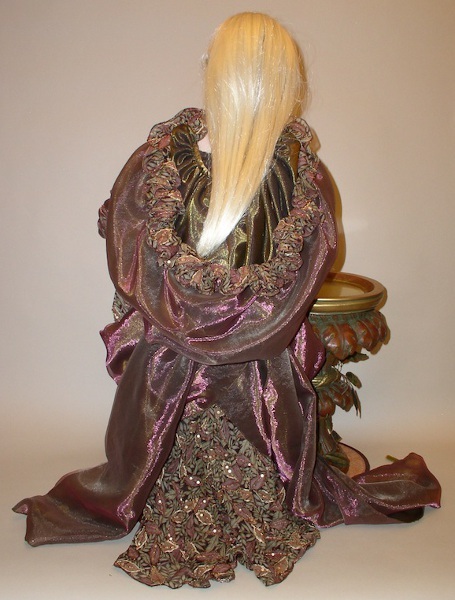 Rapunzel shows off her long, flowing hair. Just as Belle, from “Beauty and the Beast,” is a head-turner—after all, she has the conceited, misguided Gaston panting after her—Monica’s version of Rapunzel has to be seen from both sides. Turn her head around and you see her tresses cascading, and then cascading even some more, down her back. This is a fairy-tale heroine who embodies otherworldliness from the part of her hair to the toe of her foot. Monica Reo’s version of Rapunzel is called Beautiful Dreamer. 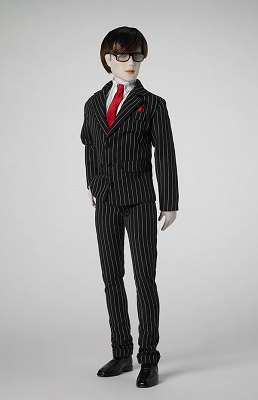 Monica has named her porcelain one-of-a-kind Beautiful Dreamer, and the doll is indeed living up to her moniker. Monica chose a gentle, peaceful color scheme for her costume: “She is wearing an exclusive one-of-a-kind gown in shades of pale blue and gold silk. She wears dainty blue-and-gold leather mules. Her eyes are painted blue,” Monica explained. 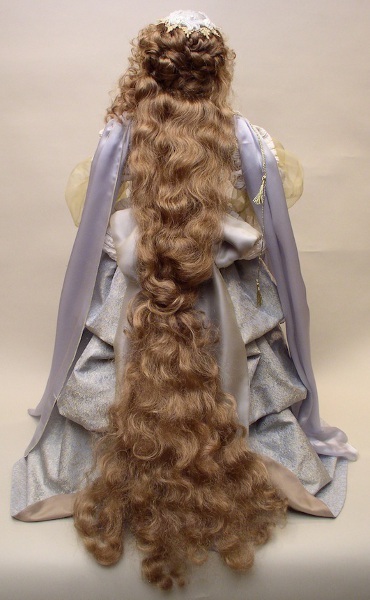 Rapunzel’s stunning hairstyle is created from a handmade, hand-tied, honey-colored wig. She measures 32 inches tall, and a custom-tiled platform base completes her ensemble. Even the back of Eden is a full work of magnificent art and creativity. 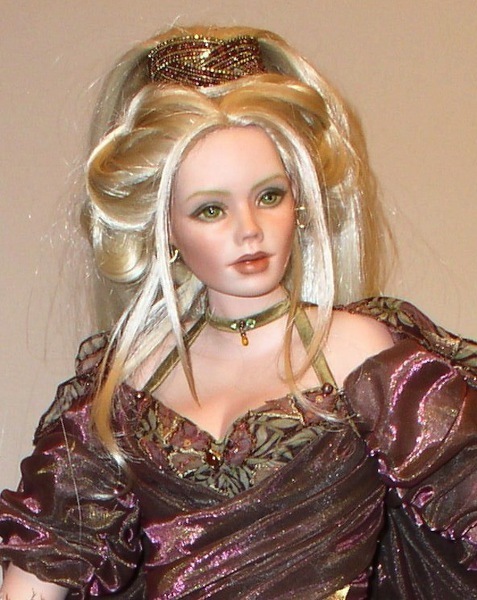 Eden, the Mistress of Paradise, is a regal and confident monarch of make-believe. The fountain of water and Eden’s costume seamlessly blend into one another. It’s as if she has emerged from that aquatic source of life, and her mission has become to protect and serve the waters that birthed her. Whatever the reason behind her appearance and her posture, Monica Reo is in total control. 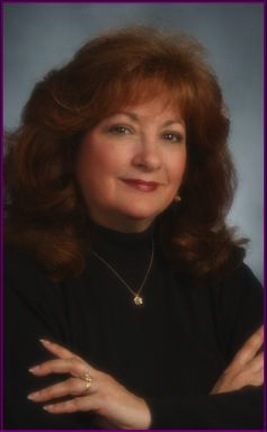 Monica Reo, the woman behind the dolls. 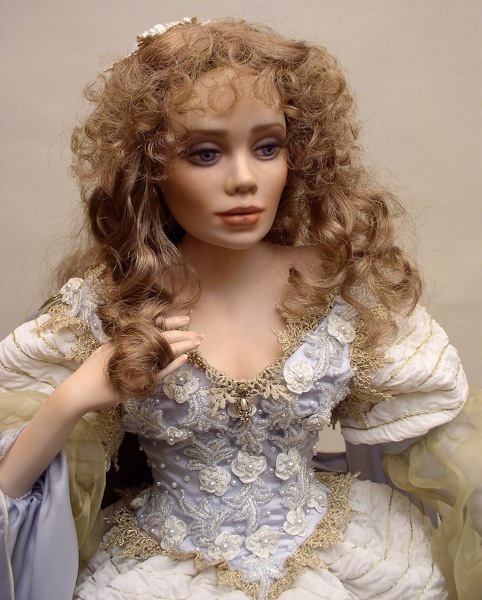 Tonner Trends: Can a Doll Be a Sexual Pioneer?